Wikileaks Barbados: US Embassy Bridgetown sent alert on Sir Allen Stanford three years before arrest. Sometimes snacks are more delicious than a large meal. With hundreds of cables from the US Embassy at Bridgetown, Barbados yet to be exposed, Bajans at home and abroad are anxious to see what the insiders saw years ago. The latest drip, drip, drip concerns SIR Allen Stanford and also then Barbados PM Owen Arthur asking the US Ambassador to speak to President Bush. Okay, I’ll bite: How much money did Sir Allen Stanford provide to the Barbados Labour Party and the Democratic Labour Party and when? The US Embassy cables make it clear that Stanford didn’t favour any particular political party: he gave his money freely to all sides. What other revelations will be coming? The Barbados FBI files? Corrupt VECO building our new jail? Offshore bank accounts of BLP politicians? The Canadian Government’s intervention in that nasty mess with the Graeme Hall Nature Sanctuary? Stay tuned folks, because the hits keep on coming! Caribbean Knighthoods: Easy come, easy go! 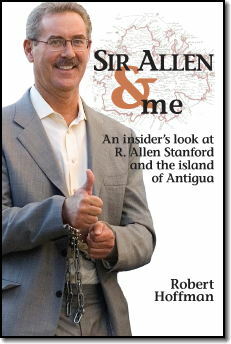 Until we came across the story at Trivester.com, somehow we missed reports in the oldstream news media that the Antigua & Barbuda government finally yanked Sir Allen Stanford’s bought-and-paid-for Knighthood. You know how it works: Stanford gave money to the politicians and they gave him the “Sir” title until their association with Stanford became a little too hot to handle. Sir Allen, er, “Al” is in a spot of trouble over running his banks and businesses like a big Ponzi scheme – which was all fine and good for a little while but like any Ponzi scheme had to collapse eventually. But what parties he had while it was in the growth cycle! Much like the executives involved in the CL Financial – CLICO ponzi schemes where 76 billion dollars or thereabouts disappeared overnight. What parties they had, what jets, cars, women and mansions! 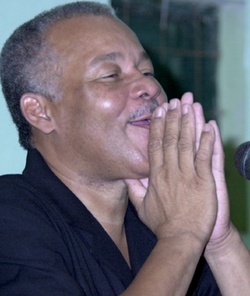 Oh well – not so bad for Leroy Parris who was awarded a golden Caribbean Broadcasting parachute by his old buddy and lawyer, Prime Minister David Thompson. “Al” will be going on a little vacation for a few years. Hopefully before his banks collapsed “Al” remembered to pay off all the drug dealers he was money-laundering for because the cocaine cartels lack a sense of humour in certain matters. Nope, I wouldn’t want to be “Sir Al” in any jail in the world if I lost drug money. So ends the party for SIR Allen – a guy who purchased his title just a surely as he bought suits and ties. Of course, for Al to make the purchase, there had to be a seller – and there are no shortages of Knighthood sellers ’bout hey. Oh yes, how we little Caribbean islands love to hand out Knighthoods like candy to friends and political supporters – half the time while ignoring or disparaging the British Monarchy upon whose credibility the whole thing rests. We’ve also added Trivester.com to our sidebar links and we’d appreciate some feedback on this from our readers. Thanks! 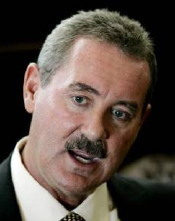 Texas Billionaire Crook Sir Allen Stanford hospitalised after jailhouse attack. Can we get a deal on his yacht? As of Sunday night, SIR Allen Stanford is still in hospital after taking a thumping last Thursday in a jail about 40 miles north of Houston Texas. His injuries are reported minor and there is no word why he’s still in hospital. Would an ordinary crook still be in hospital for “minor” injuries after a fight with another inmate? Probably. We found some stories that mention SIR Allen has an ongoing health problem and carries a metal stint in his heart. Meanwhile, how about we all chip in on a new boat? SIR Allen’s newly renovated 112 foot yacht is up for sale. Yup… I could see myself with a tonic and gin in one hand and my woman in the other… sitting back as we head for nowhere in particular. Maybe a little sport fishing in the morning. Yup, I could get into that just fine! I got me a thousand dollars, maybe double that if I stiff George for the money I borrowed to fix the car when the engine blew up. Sea Eagle - 112' Hakvoort seized by Stanford's trustee.